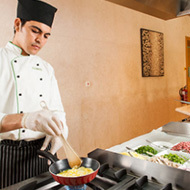 From standalone cafés and restaurants to those within the hotels, there is a wide variety of food and beverage options to choose at our destinations. 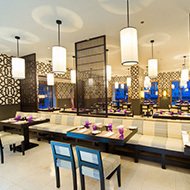 Guests residing at the hotels can opt for the 'dine around' option, allowing them to enjoy exploring the culinary offerings of other hotels in the destination. Intimate bars and trendy al fresco restaurants also make our destination home to a lively nightlife scene in Hawana Salalah and Jebel Sifah where you can join friends and enjoy a fun-filled evening in a vibrant atmosphere. 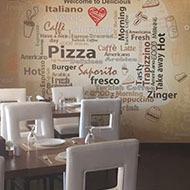 A growing variety of cafes and specialty restaurants offering an array of tantalising signature dishes. Located in Juweira Boutique Hotel, Al Manara blends international and regional cuisines, serving a daily American breakfast buffet and transforming into an intimate indoor and outdoor dining venue in the evenings. 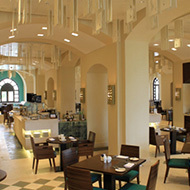 The Fanar Hotel & Residences restaurant Al Souk (meaning marketplace) offers a unique blend of international and regional flavours. With its daily rotating menus, themed breakfast, lunch and dinner buffets, live cooking buffets and pizza oven, here you can take a seat overlooking the pool on the outdoor terrace, or enjoy the buzzing atmosphere inside. 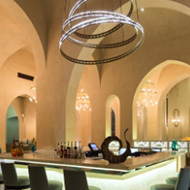 Beautiful lounges, arabesque architecture and evocative music spreads through the length of the Salalah Rotana Resort's Arabesque Lounge & Terrace. Sip mouth-watering mocktails and cocktails under the stars on the terrace and enjoy easy eats in the luxurious setting of the lounge. At As Sammak, Salalah's finest local seafood is served exactly how it should be: simple and fresh. With its daily selection of locally-sourced fish specials and stunning views of the marina, As Sammak is a wonderful place to spend an evening. Capturing the spirit of the Mediterranean, Fanar Hotel & Residences' restaurant Aubergine offers fusion specialties cooked with fresh herbs, enchanting spices and mouthwatering marinades. Embracing flavours from the culinary traditions of places like Italy, Greece, Lebanon and France, Aubergine has indoor and outdoor seating overlooking the tranquil marina. 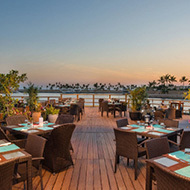 Situated on the beach front of the Salalah Rotana Resort, The Beach Bar & Restaurant is a trendy and relaxed restaurant serving up fresh local seafood and panoramic views of the majestic Indian Ocean. 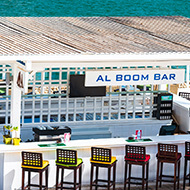 Juweirah Boutique Hotel’s pool bar overlooks the marina, offering stylish cocktails and a lively atmosphere. This tropical beach bar exudes a cool retro vibe. 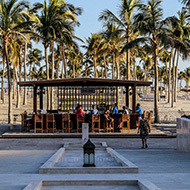 Surrounded by tall coconut trees and positioned on Salalah Rotana Resort's white sandy beach, it is the perfect place to casually have a tasty beverage and relax. Never leave the water’s edge at the Pool Bar, where you can enjoy the freshest fruit juices, cocktails and casual light fare next to the infinity pool and the coconut tree-lined beach. The perfect spot for lunch or a sundowner to relax after a day in the heat, the Pool Bar has an enviable cocktail menu you can enjoy as you watch the sun set. 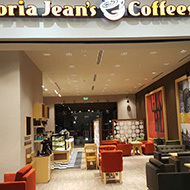 Catch up with friends at this internationally renowned coffee chain over a cappuccino and a freshly-prepared sandwich. With great, freshly made food, a wonderful ambiance and top bar service, this al fresco spot is a favourite hub for Salalah's expats. 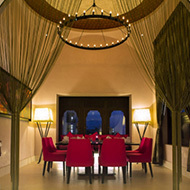 Puff on shisha and sip Arabian coffee while enjoying global sporting events on the big screen. 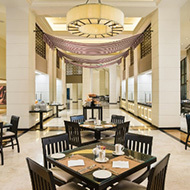 One of Salalah Rotana Resort's restaurants, Saffron is an all-day dining venue that serves a healthy, fresh, colourful buffet spread from the innovative and interactive kitchens, reinventing international dishes on a daily basis and hosting delicious themed nights. 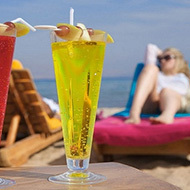 Refreshingly laid back and set directly on the sand at Fanar Hotel & Residences, the Sandbox Beach Bar allows you to sit back and take in the scenery. 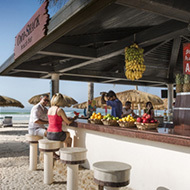 From a freshly squeezed juice during the day to a favourite cocktail at night, the Sandbox Beach Bar is the place to gaze out to sea and enjoy your favourite tipple. At this east-meets-west restaurant, delight your senses with distinct cuisines from the Mediterranean, Japan, South East Asia, and India. 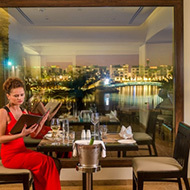 Yet another sophisticated dining experience to be found at the Salalah Rotana Resort. 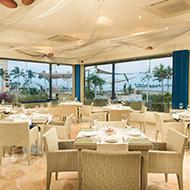 With an extensive Italian and Lebanese menu, and an al fresco dining section, this restaurant is a popular choice among Hawana Salalah Beach residents and guests. 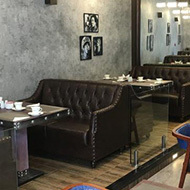 A growing variety of cafes, restaurants and night spots offering an array of tantalising dishes and a vibrant atmosphere. Barten is the ideal spot for private parties. With 10 signature cocktails, infused, shaken and served in unique mason jars, Barten has a large selection of beverages. 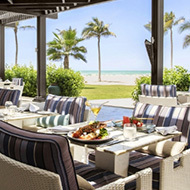 Situated on the Jebel Sifah marina, the Breeze Lounge & Bar is the perfect place to sit back and watch the world go by as you enjoy a gourmet coffee or cool drink. 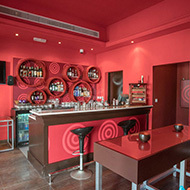 Serving up cocktails and great tapas with Happy Hours and a cosy atmosphere, the bar also transforms into a lively night-spot with games and live sport. 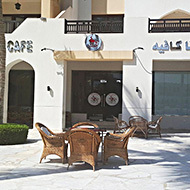 Perched on the side of Jebel Sifah's marina, this welcoming coffee shop serves delicious snacks and beverages with comfortable indoor and outdoor seating. 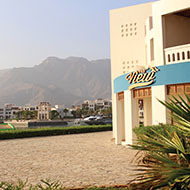 The View enjoys picturesque views of the marina and offers an extensive menu of mouthwatering international cuisine.